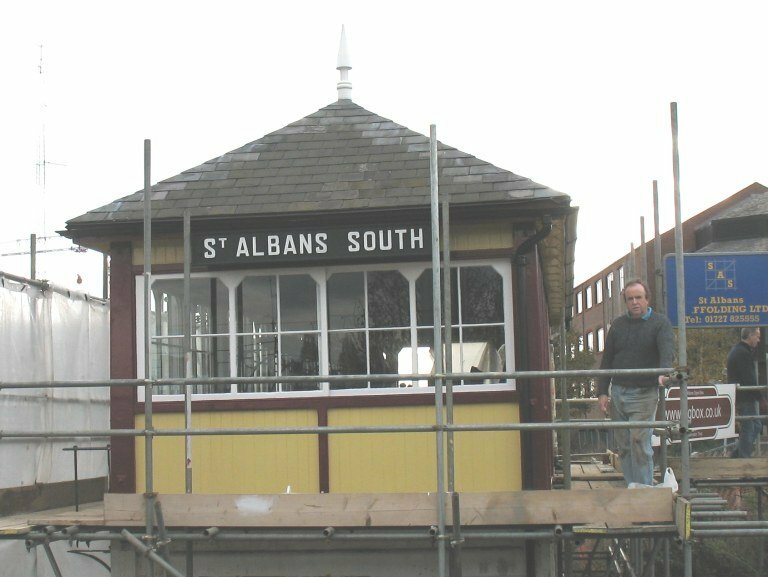 8 December 2007- The main work is nearly complete. 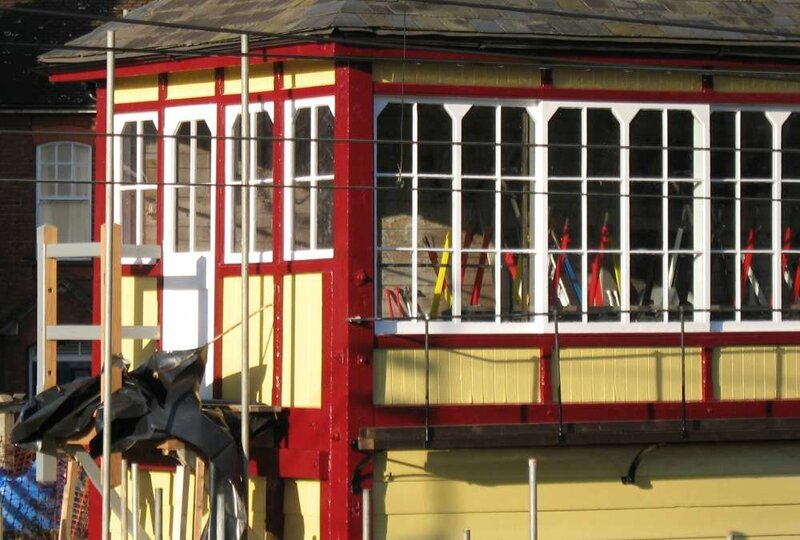 Just a lick of paint (or two) needed now. 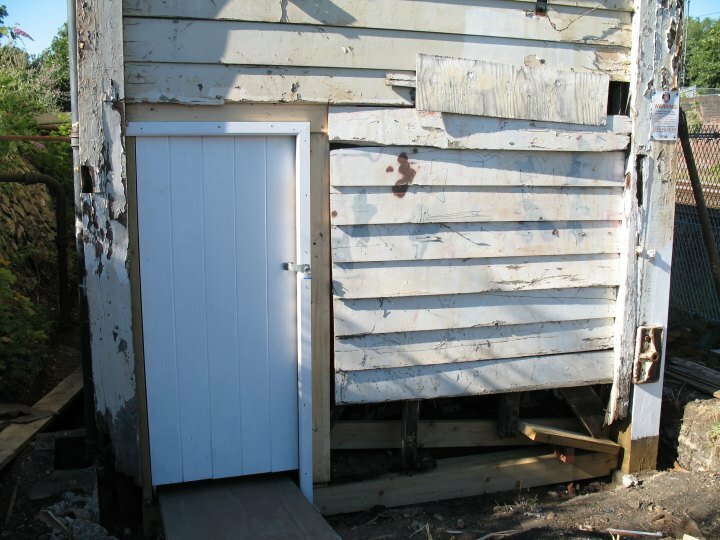 1 December 2007- The Landing at the top of the stairs and new door are well under way. Click on the photos for a better look. 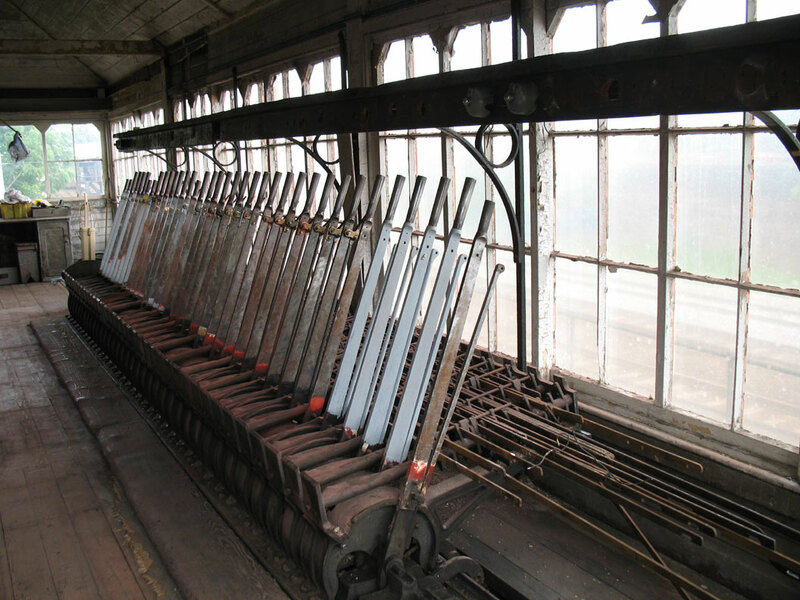 11 November 2007- The National Railway Museum in York have supplied the colours for the paintwork. 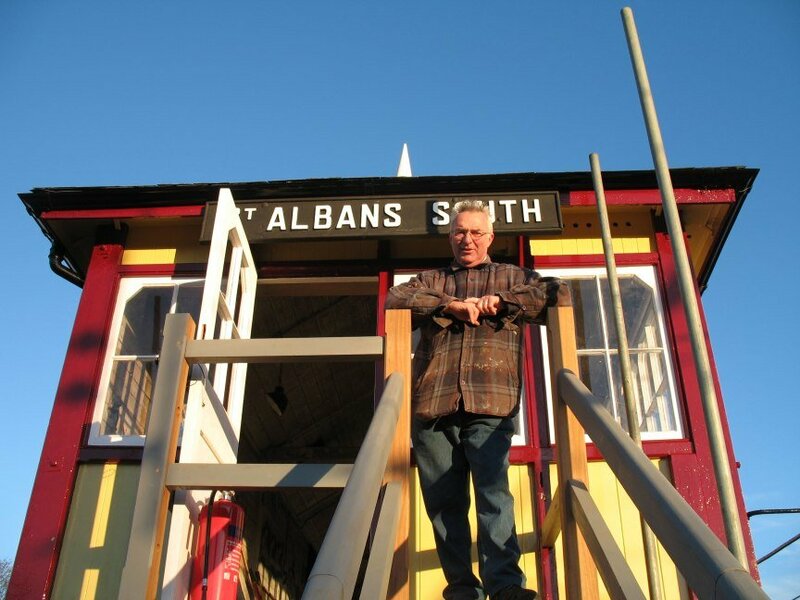 With a dateline of circa 1950 we have started to repaint the signal box in its earlier colours and refix the name boards. 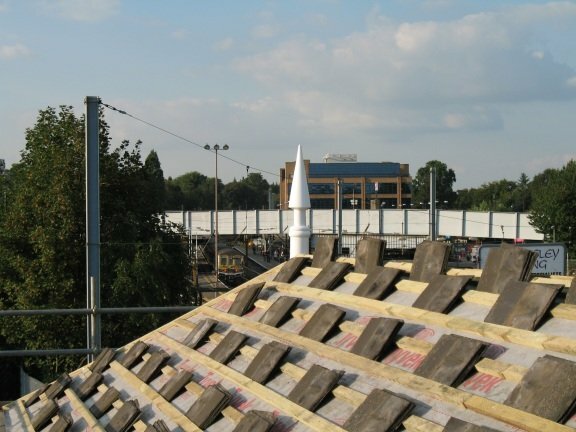 6 October 2007- The roof is finished! 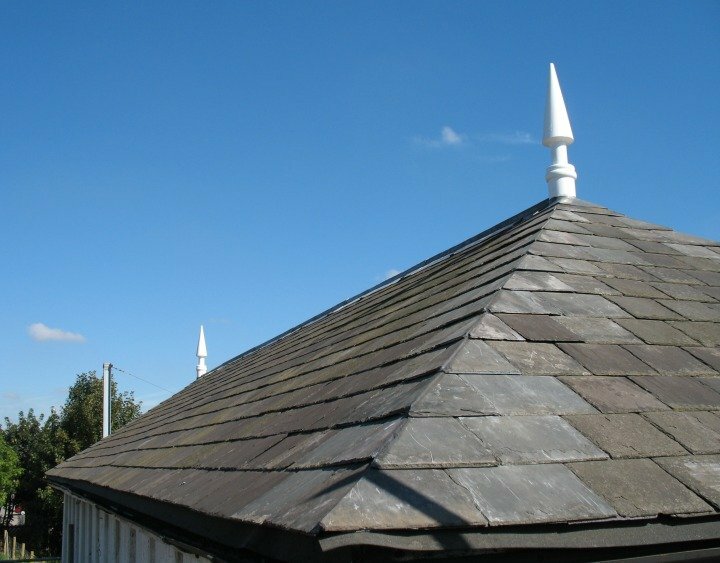 New waterproof membrane, wooden battens and finials with recycled Welsh slate completed the renewal of the roof. It now looks exactly as it did in 1946 - but it doesn't leak and wont do for many years. 9 September 2007- Heritage Open Days were a huge success! Over the weekend, we greeted 417 visitors who enjoyed the sunshine and the tours of the garden and ground floor. The steam traction engines and the signalling demonstrations were a big hit. Many thanks to all the visitors for coming to see us, and to all the volunteers who worked so hard. Watch the video! 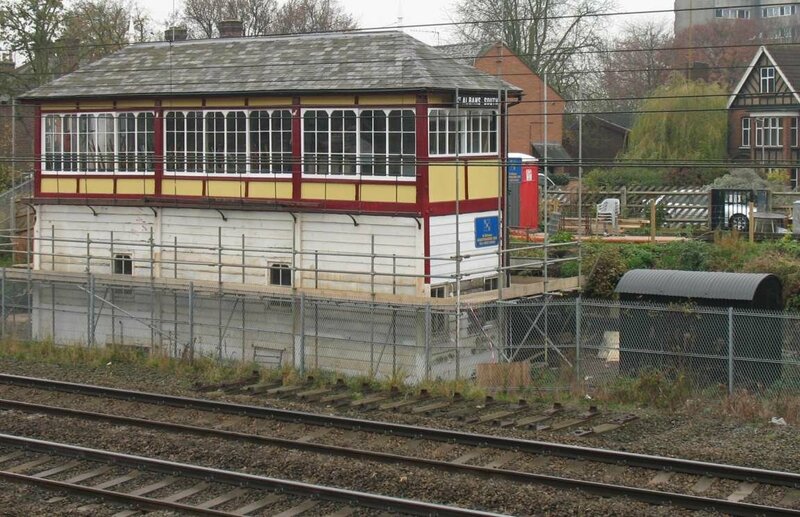 27 August 2007- The signal box looks a little different with its cover on. The roof can now be repaired. 7 July 2007- Work has started on replacing the rotten bits. There are quite a few to replace, and all have to be hand made to original imperial Midland Railway sizes. 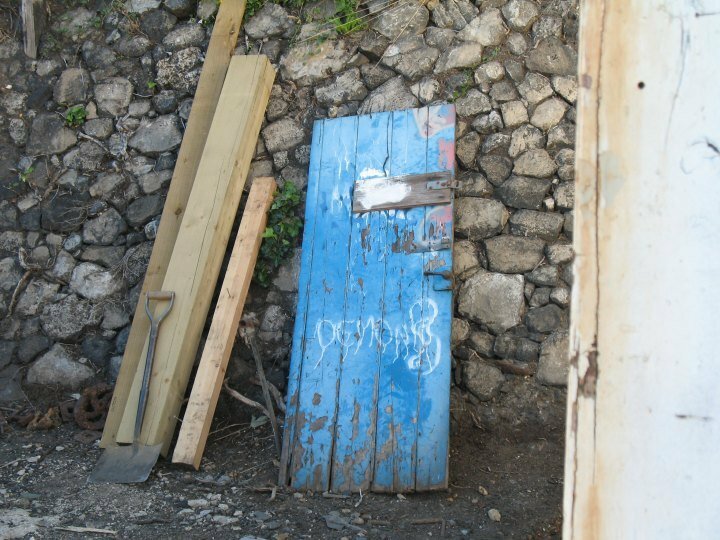 The Morton Partnership Structural Engineers have visited again to check on the underpining requirements. 31 May 2007- The frame is being cleaned and broken parts replaced. Huge efforts from Phil and Peter! Click on the photo to see. 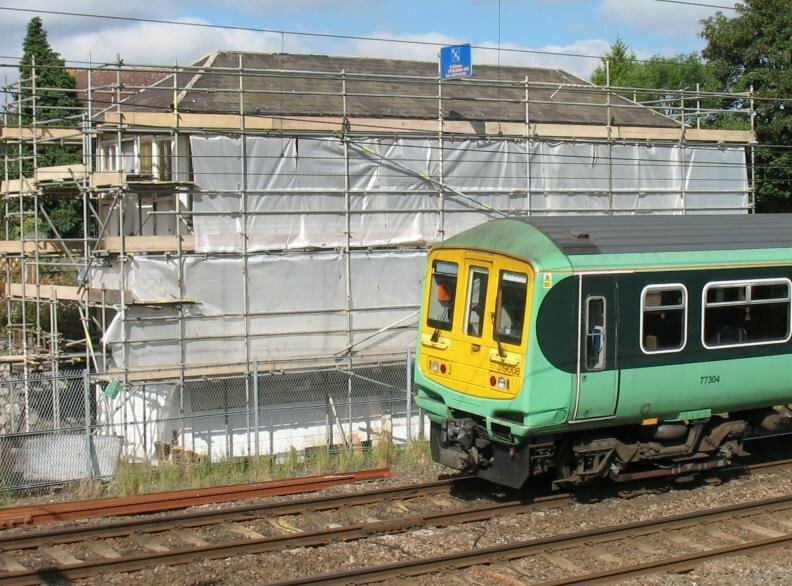 24 May 2007- Network Rail have been sent the method statement for the scaffolding erection. 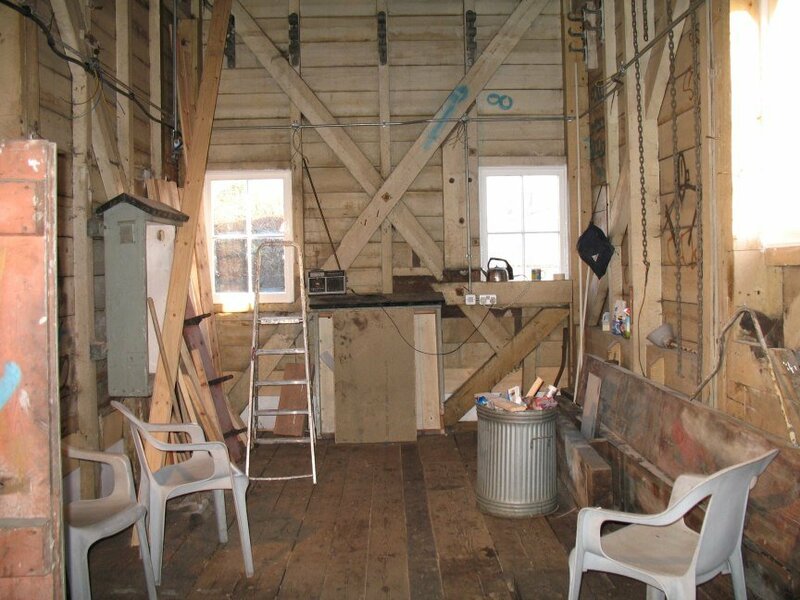 They must confirm it will be safe near the overhead wires before it can be erected and building work can begin in earnest. The approval should take two weeks. 13 May 2007- The disabled access, car parking spaces, and embankment retaining wall is almost complete. Further work with planting and leveling has been carried out with over 200 shrubs and trees now in place. The gardens are beginning to bloom! 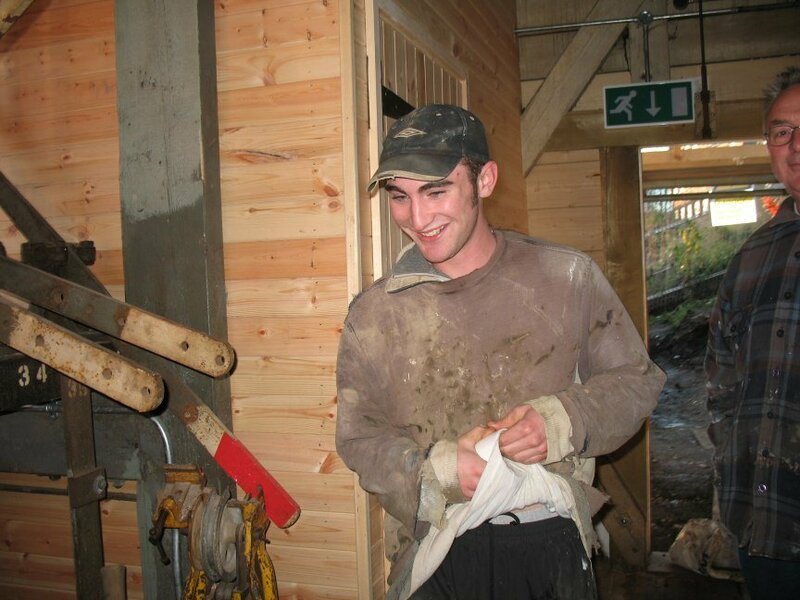 15 March 2007- The AGM was very well attended and three new trustees appointed. Our spread of trustees knowledge could now grace any major Corporation! Our thanks go to all who attended and to the County Constitutional Club for donating their premises once again. 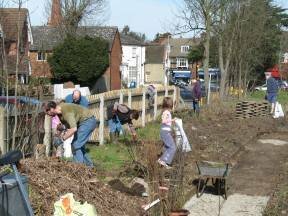 11 March 2007- The 'native mixed edible hedge' got planted today by 14 volunteers. Many hands make light work - but some backs are still aching. The hedge will provide a mixture of thorns and fruits and should be spectacular in a few years time. Another sterling effort by the volunteers. 14 January 2007- More dates have been uncovered! 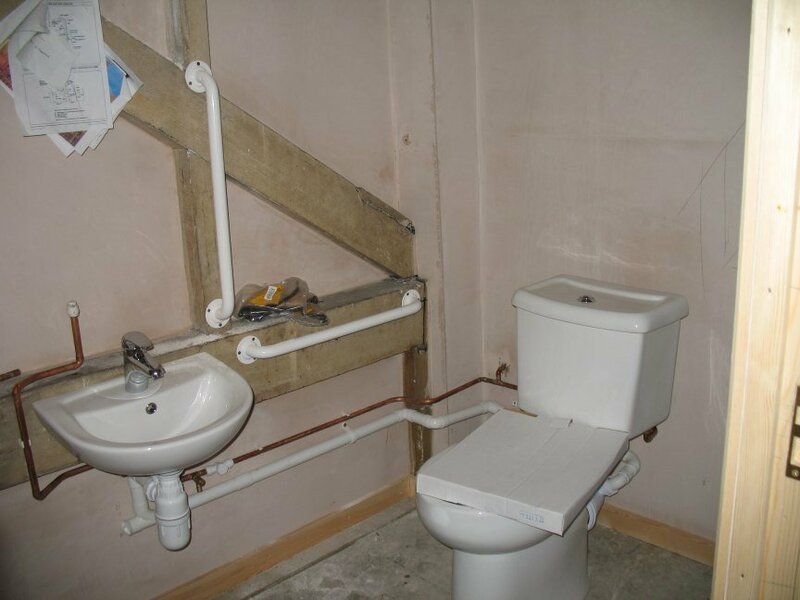 The toilet 'appendage' was added on 5th March 1963 by 'Bob' - careful detective work deciphering his mark on the inside of the wood has given us the vital clue! (He signed and dated his handiwork). 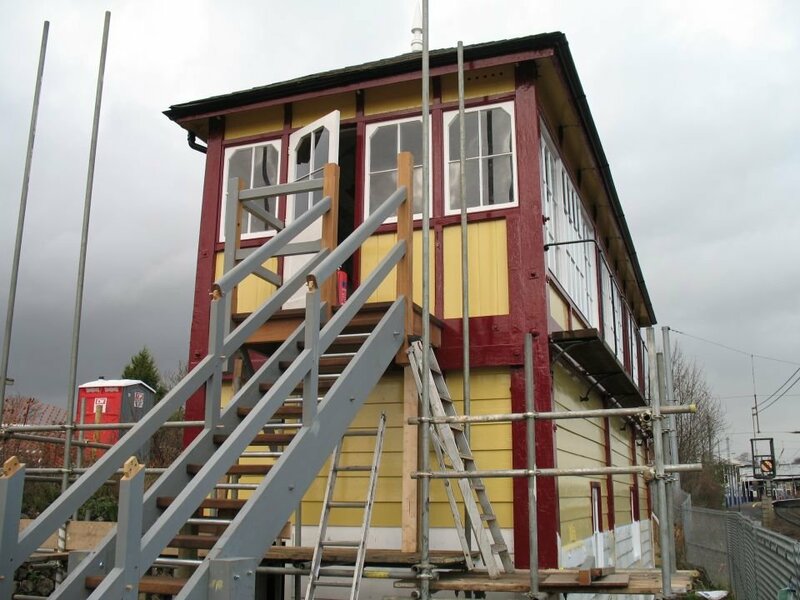 The signal box was extended before 1923 - not later as previously believed. This has been proven by the discovery of many newspapers from that year under the flooring of the whole box!